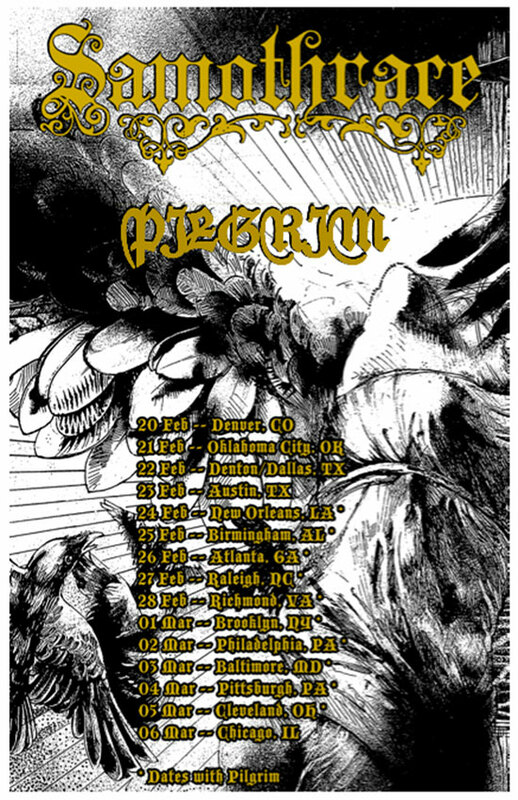 Rhode Island doom act PILGRIM kick off a short run of tour dates beginning in New Orleans on February 24 with SAMOTHRACE. The band plans to unveil new material on stage throughout the tour, so fans at these shows will be the first to experience brand new music! For the complete itinerary, visit metalblade.com/pilgrim or the band’s facebook page: facebook.com/hailthepilgrim. At the end of 2012, PILGRIM had the honor of performing at Metal Blade’s 30th Anniversary ScionAV label showcase. 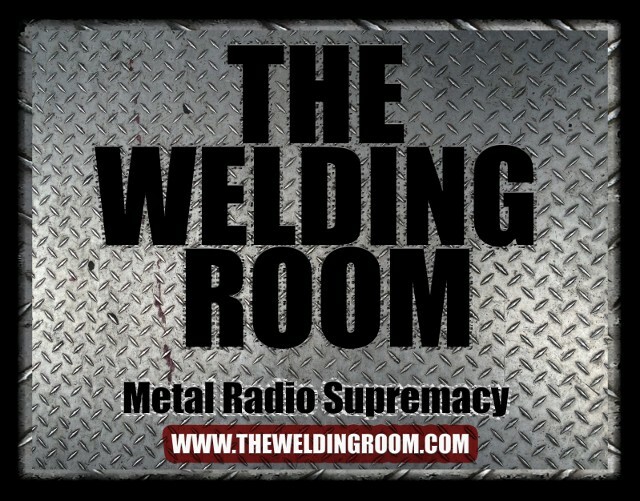 Live audio, as well as interviews from the event can be found at scionav.com. PILGRIM consists of drummer Krolg Splinterfist, the Slayer of Man, bassist Count Elric the Soothsayer and guitarist/vocalist The Wizard. With a mix of destruction, misery and beauty, these young disciples of doom blend a surprisingly original sword ‘n’ sorcery feel with the classic chest-caving heaviness of the masters, Black Sabbath, Saint Vitus, Reverend Bizarre and Pentagram. Their thick walls of majestically darkened guitar, massive booming bass, and dangerously powerful yet calculated drumming lull listeners into an intense dream-like trance, abducting them to places they never knew were dwelling within their own minds. This entry was posted in NHL and tagged Baltimore, Black Sabbath, Brooklyn, New Orleans, PILGRIM, Pittsburgh, Reverend Bizarre, Rhode-Island, videogames. Bookmark the permalink.